For any owner of a property it´s important to put your property with a long standing company who´s door is always open to you. Here in Spain it´s not the same as the UK where most agents sell within a 20 mile radias of their office. 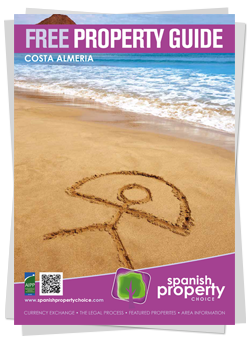 Spanish Property Choice afford our vendors the widest exposure along with our purchasers a more diverse portfolio by being the only independent agen to have offices in Mojacar, Albox and Huercal Overa. To do this we need to make sure we have the largest marketing structure in place, which we do being regional partners of the second largest real estate platform, Hamptons UK & International. This means our properties are in over 1888 offices worldwide. Along with Rightmove & A Place in The Sun our partnerships are unrivalled within our province. We are also premium exhibitors at major exhibitions all over the world, taking our properties to new heights. So how do you go about putting your property on our books? The following documentation is requried prior to the marketing of your property in line with the law the Decree 218. If an agent does not ask for the following documentation then they are breaking the law! We would require a copy of each of the documents listed below, if you are not on a community then of course the community fees and rules and regulations are not applicable to you. HOW DOES THIS HELP YOU OUR VENDORS? Supplying this documentation forms part of the Decree 218/2005... it stipulates that any vendor using an estate agent must supply the above documentation to their chosen agent. Failure to do so renders any reputable compliant agent, unable to market your property (legally). Spanish Property Choice have regular conversations with prospective vendors who tend to use a common phrase "well none of the other agents have asked me for this paperwork" our response to that is, "well in that case they are not doing the jobs correctly, they are not complying with the Decree, so breaking the law and they are not helping consumer confidence!" Spanish Property Choice are here to help you secure a quick and efficient sale, supplying the paperwork allows us to do this, by having your paperwork checked and highlighting any outstanding issues that could hold up or lose you a prospective sale. HOW DOES THIS HELP OUR PURCHASERS? This process helps you our clients, by affording you complete consumer confidence! 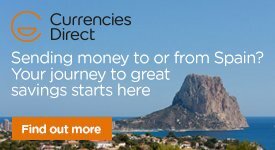 you can feel secure in the knowledge that any property Spanish Property Choice show you, the paperwork has been pre checked by an independent solicitor and that the vendor of the property is pro-active in helping the sale of their property, which all adds up to a secure, stress free purchase for you. So should you be a buyer or seller, please feel free to call into anyone of our offices either in Mojacar, Albox or Huercal Overa and speak to one of the team who are there to help and show guide you all the way.